Shenzhen LeDe Electronic Co., Ltd is a professional manufacturer of LED lighting accessories, our main products including LED Strip connector, RGB Wire Jumper, DC power cord, DC Power Splitter, LED Waterproof Power cable, LED Jumper cable, IP68 Waterproof Connector, LED Junction Box, Waterproof power connector,DMX Cable, DC plugs&Sockets, LED Waterproof Plug&Sockets etc. 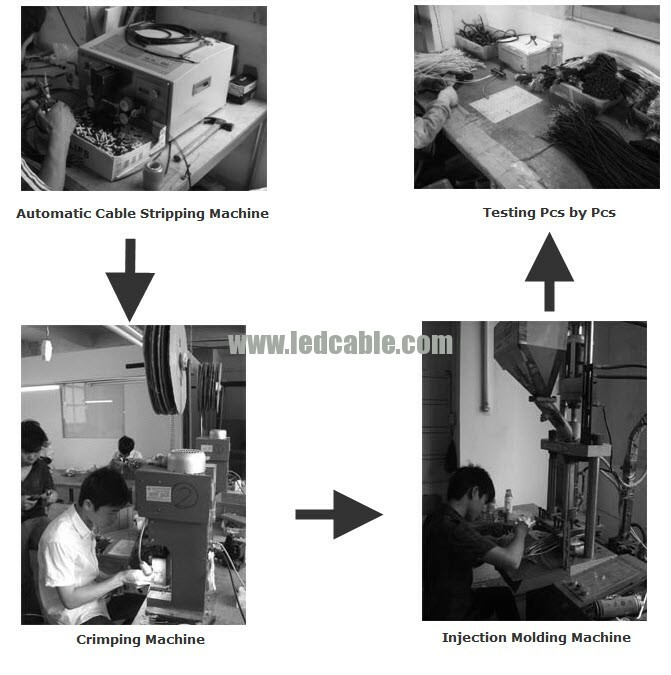 And most of our products are UL listed, and widely used in the LED lighting industry now. With well-equipped factory and years of experience in this field, we can provide our clients the best service and quality products at the most competitive price. With well-equipped factory and experience workers, we can provide the products with high quality at a competitive price. 2. Flexible minimum Order To show our sincerity,we can accept small order in a small quantity for your evaluation. And there are great discount for big orders definitely. 3. Prompt reply &best service Our customer focus is evident in everything we design, manufacture, test and deliver.